Herding livestock is one of the oldest jobs for dogs. There are many breeds of herding dogs as well as many styles of herding. For example, Schapendoes use a lot of fierce barking, movement, and body contact to get large livestock, or large numbers of livestock, to go. 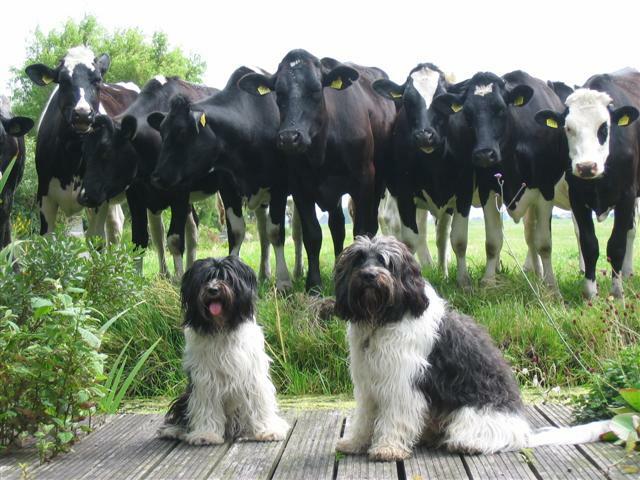 Stockdogs are used on many farms and ranches and mostly to work with cattle and sheep. Today, herding dogs are also seen competing in Herding Trials all over the world. Quite often the people participating in this sport are not involved in the livestock industry but have an interest in working with their dogs to help preserve the instincts and abilities of the herding breeds.